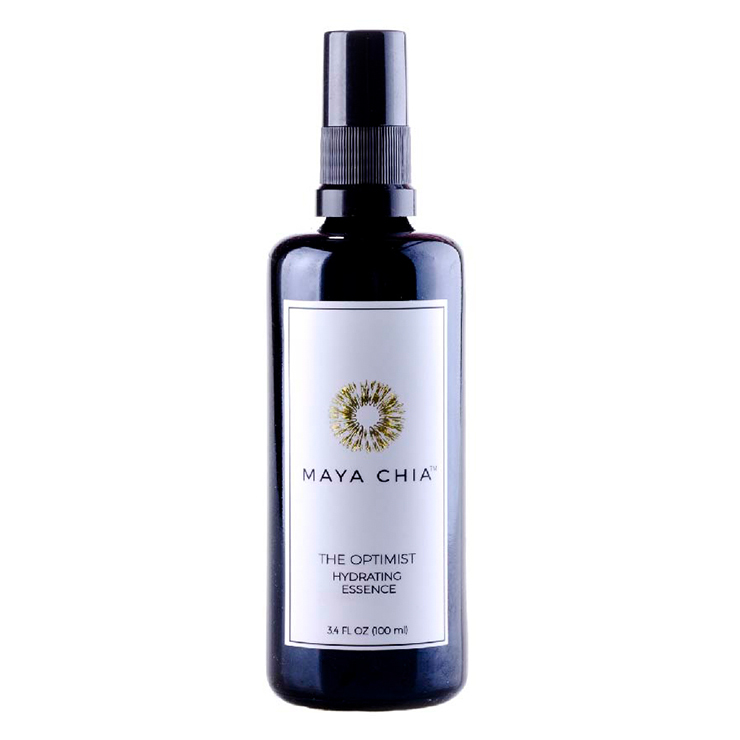 A true confidence booster for skin, Maya Chia The Optimist is carefully crafted to offer a hit of valuable moisture while improving the look and feel of skin. Made with aloe, a lightweight moisturizer suitable for all skin types, and astaxanthin to promote a feeling of improved elasticity and smoothness. Chia lends a calming sensation and boosts the appearance of glow. Licorice and neroli are added to bestow a look of balance and even skin tone, while ylang ylang visibly tones and clears the skin for a plumped and perky appearance. Mist onto cotton pad or directly onto clean skin for a feeling of hydration and rejuvenation, and to ramp up the appearance of glow.
" Aloe Barbadensis* (Aloe) Leaf Juice, Oryza Sativa* (Sake) Extract, Camellia Sinensis Leaf* (White Tea) Extract, Pure Water (Aqua), Leuconostoc/Radish Root Ferment Filtrate, Lactobacillus, Cocos Nucifera (Coconut) Fruit Extract, Hydrolyzed Corn Starch** (And) Beta Vulgaris (Beet) Root Extract, Caprylic/ Capric Triglyceride, Panthenol, Phospholipids, Xylityl - Glucoside - Anhydroxylitol - Xylitol**, Lauryl Glucoside (And) Myristyl Glucoside (And) Polyglyceryl-6 Laurate, Salvia Hispanica (Chia Seed) Extract (And) Astaxanthin, Polyacrylate Crosspolymer-6, Glycyrrhiza Glabra* (Licorice) Root Extract, Citrus Sinensis* (Sweet Orange) Essential Oil, Citrus Aurantium Amara (Neroli) Essential Oil, Cananga Odorata (*Ylang Ylang) Essential Oil, Potassium Sorbate.